Front message: Congratulations on your New Baby Boy! 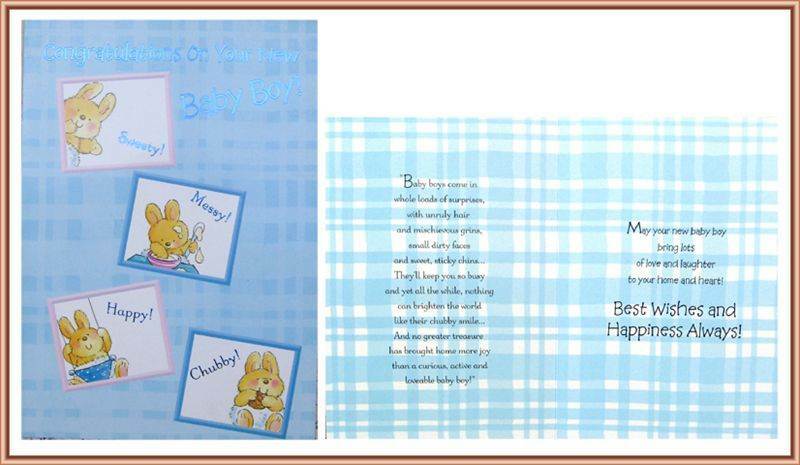 Inside message: May your New Baby boy bring lots of love and laughter to your home and heart! Best wishes and Happiness always!.